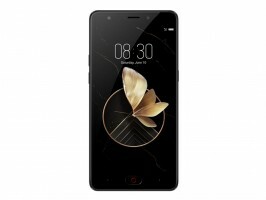 ZTE has added the latest piece to its M2 puzzle - the nubia M2 Play. It sits lower than the M2 and closer to the M2 Lite. The ZTE nubia M2 Play has a metal body with curved glass on the front. Housed underneath the glass are a fingerprint scanner and a 5.5" 720p LCD with 274ppi. Powering the nubia M2 Play is a Snapdragon 435 chip with an eight-core Cortex-A53 processor (split at 4x1.4GHz and 4x1.1GHz), an Adreno 505 GPU and 3GB of RAM tasked with handling your apps. In comparison, the nubia M2 Lite uses a Helio P10 chipset with a similar octa-core processor clocked slightly higher. The M2 Lite also has a 4GB of RAM variant. There are 32 gigs of storage that can be expanded up to 128GB through the microSD card slot. There's a microUSB port and a 3.5mm audio plug on the top. Camera-wise you're looking at a 13MP f/2.2 main camera and a 5MP f/2.4 84-degree wide-angle selfie one. 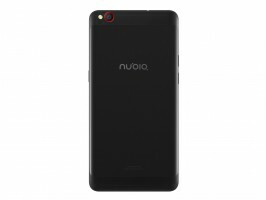 The nubia M2 Play runs nubia UI 5.0 on top of Android 7.0 Nougat. As of yet there's no pricing or availability information but we'll keep you posted. Fake news: Crisitano Ronaldo has informed his friends that he is unhappy with ZTE nubia and is looking for a move away from it. Rivals including Oppo & Vivo are shaping up a humongous offer to lure the star.